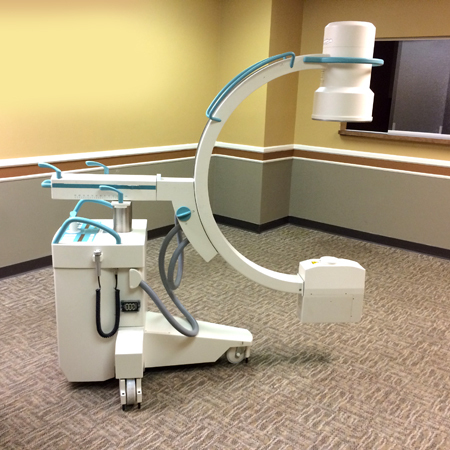 A C-Arm is an imaging scanner intensifier that magnifies X-Ray readings. This allows lower amounts of X-rays to be used, and results in less radiation exposure for patients and professionals. They are used primarily for fluoroscopic imaging during surgical, orthopedic, critical care, and emergency care procedures. At Nationwide we recondition and sell only C-Arms from top manufacturers in order to ensure quality and reliability. Our reconditioning process is vigorous and all equipment is thoroughly tested before being sold. Contact us today with any questions about choosing the right C-Arm for your facility or browse our inventory to see what we have available.